ReviewPush Shares SMALL BUSINESS TIP #11: How to Remove Bad Reviews | S©ribaceous, Inc. I was recently contacted by ReviewPush who wanted to share their guide to show small businesses how to remove bad reviews. I know firsthand that it’s not easy being the “little guy” and there are times when you feel totally powerless. It was incredibly frustrating to watch Yelp whittle down my five glowing 5-star reviews down to two. Everyone I talked to said the same thing—it’s the algorithm. When their algorithm left up a review by a vindictive former personal friend with a history of mental illness, I decided to take action—and quickly found out that getting bogus reviews removed isn’t as easy as it should be. 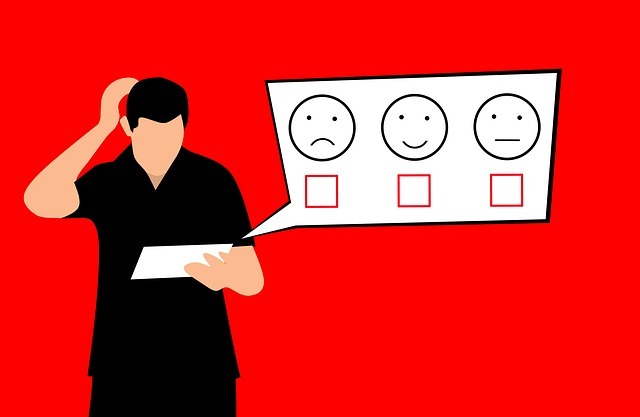 The more help we small businesses can get, the better—so I’m happy to include this excellent resource on how to remove bad reviews in my small business tips blog. May you never need it, but if you do, may it be of help! Smaller companies live and die by their reputations. Without the advertising and marketing budgets of larger competitors, they have to rely on the word-of-mouth generated by their customers to serve as their introduction to new patrons. The digital age has made this significantly easier. Online review sites, such as Yelp, have been instrumental for spreading the word about smaller businesses. However, managing a reputation can be a challenge. The speed at which a customer’s negative impression spreads can be disastrous. What’s worse, the recipients of bad reviews often have no recourse. Yelp and other sites are concerned with appearing trustworthy to people. That means they want to make sure businesses can’t scrub negative criticism from their pages so easily. Yet there are some circumstances in which small business owners can have an unfavorable review taken down from Yelp. It may not be possible to completely clean up their online reputation, but understanding how the process works can help them project a more positive image to potential customers. For example, they can request to have the review removed if it promotes a rival business. This violates the terms of service and can result in it being flagged for removal. Another situation under which a bad review can be removed is when it is written about someone else’s experience, rather than the reviewer’s own. Also, any that appear to have been copied and pasted from other sources are eligible for dismissal. If the reviewer uses profanity, includes offensive content, or provides personal information, that user may have his or her reviews removed. Protecting your online reputation is critical if you have a small enterprise. Although there isn’t much you can do to delete a customer’s poor experience from Yelp, you may still be able to find a way to keep it from influencing others. Remove Negative Reviews Guide from ReviewPush. Lee McNiel, founder and CEO of ReviewPush, graduated from Texas State University and has extensive experience in online review management. McNiel assists local businesses, franchises and multi-location businesses with monitoring and managing their online reviews.